One of my favorite childhood traditions was being at my grandparents’ house for the rowdy family Christmas Eve party and opening a brand new set of pajamas that my sisters and I would change into as the night wore on. It was so nice to get out of those uncomfortable dressy clothes into cozy (usually matching/coordinating) pajamas. The party would end long past bedtime, and I’d pretend to fall asleep in the car so I could get carried into the house by my dad, only to awaken Christmas morning to kid paradise. Pajamas on Christmas Eve are a strong tradition for me, and my folks still carry it on even though we’re now adults. If pajamas are a tradition for you too, or if you’d like to start that tradition, here are some pajama ideas! Oliver + S offers two unisex pajama patterns: the Bedtime Story Pajamas, featuring a kimono-style top and elastic-waisted pants with contrast bindings, and the Sleepover Pajamas, inspired by vintage baseball jersey styling (never fear, there is a ruffle option for the girlie girls!). Both are highly customizable through fabric (quilting cotton, flannel, linen blends, etc.) and both offer a chance to add character through contrast facings and/or bindings. 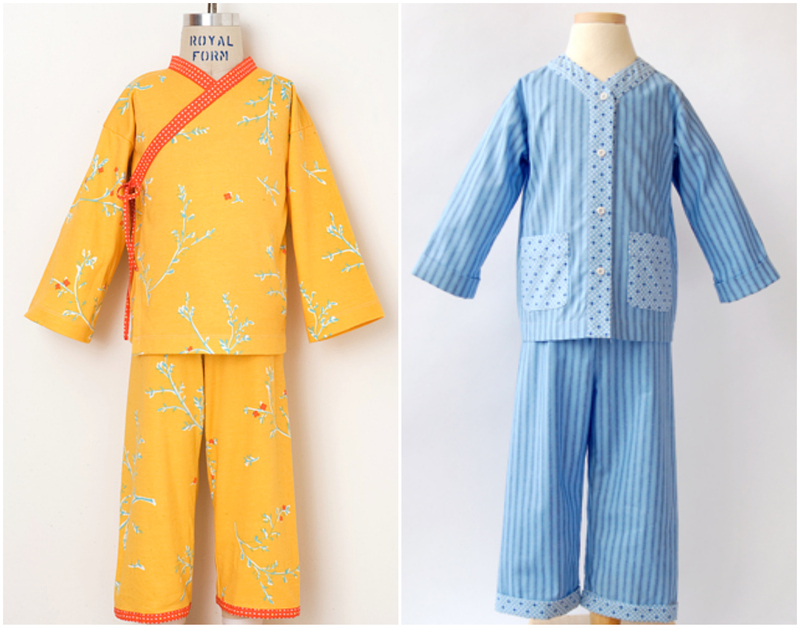 I have sewn many versions of the Bedtime Story pajamas, in various fabrics. I usually just make the bottoms and then have the kids wear a t-shirt on top to keep it especially quick and easy. These are shown in cozy Fanfare Flannel by Rae Hoekstra. In addition to the pajama patterns we offer, there are a few other patterns that would make great holiday pajamas as well! To me, a simple knit dress + fun fabric = nightgown. 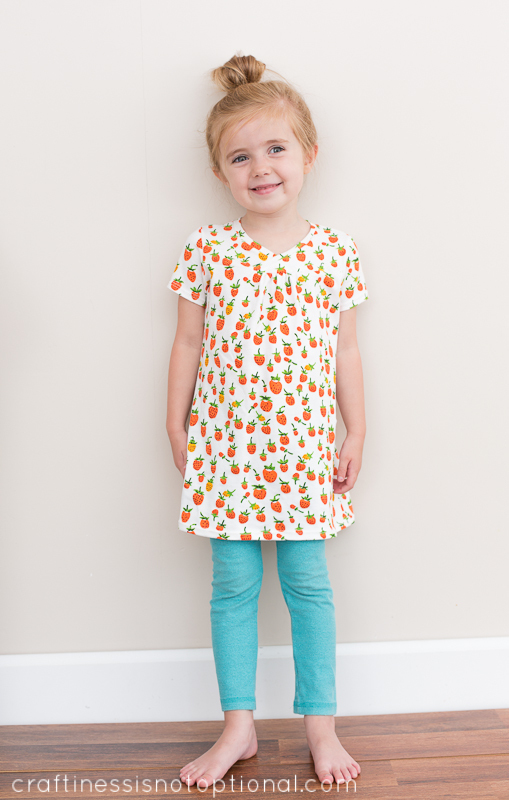 For instance the Hopscotch Dress, shown above in Heather Ross’ Briar Rose knit, is adorable and comfy for bedtime. The pattern includes a long-sleeved option for warmth. 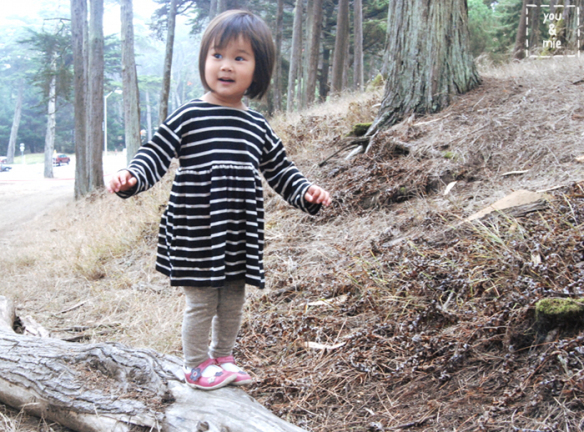 Another dress-to-nightgown possibility is the Playtime Tunic & Leggings, shown here in striped knit. It might be a good idea to omit the buttons in the back of the dress/tunic for comfort. When sewn in knit, the stretch makes buttons unnecessary. 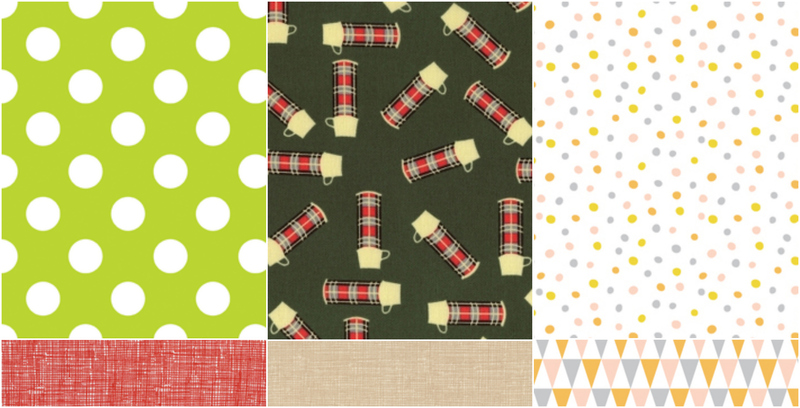 Above, I’ve paired cozy flannels with coordinating bindings for a Christmas/wintry effect. The bindings can be scraps you already have on hand, or you can shop for that perfect combo! 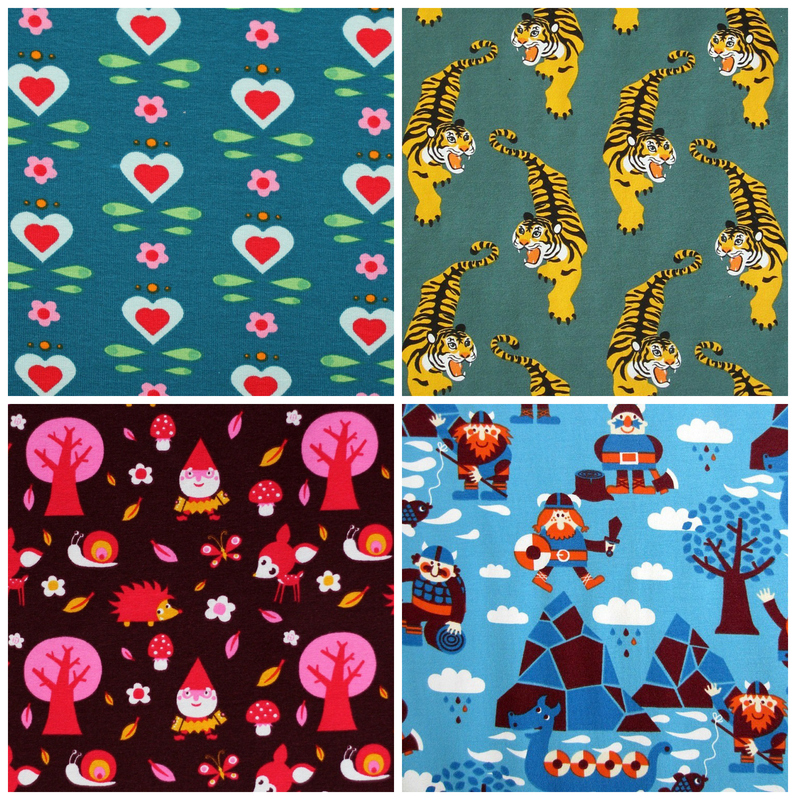 All fabrics here are available at Hawthorne Threads. Pajamas are where crazy novelty holiday prints shine, too. If you want to go that route, now is the perfect time! For a less-traditional approach, I love the knit prints over at Kitschycoo. While less overtly Christmasy, they’re just so fun I had to highlight a few options that kids can wear long after the holiday has passed. Aren’t they great? All are printed on organic jersey knit and could be paired with locally sourced solids for bindings. For boys, make a Field Trip Raglan Tee and some Playtime Leggings (both now available as standalone digital patterns), add contrast cuffs to the ankles, and boom! You’ve got pajamas! I hope you’re now inspired to carry on your own traditions. 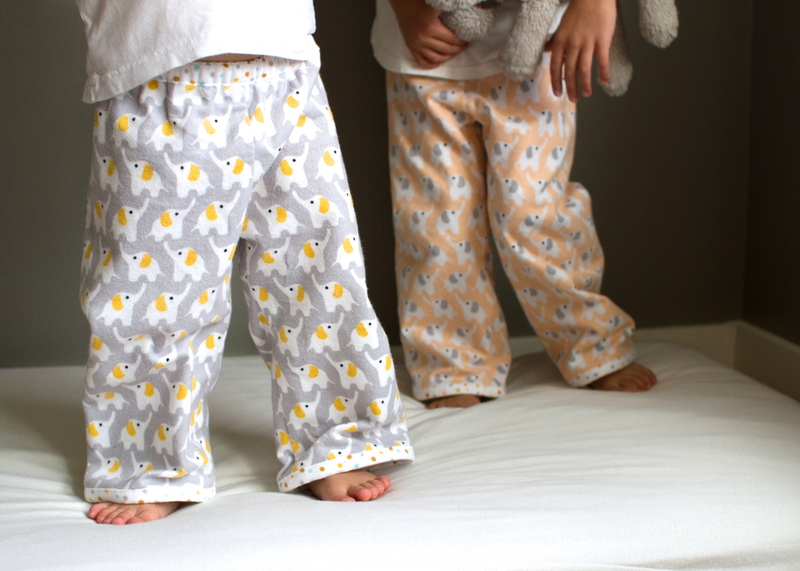 And as always, if you need more ideas, there are plenty of adorable jammies over in the Oliver + S flickr group! What fun ideas! I’m just getting ready to make the bedtime story pajamas in a cuddly flannel for Christmas Eve! My girls prefer nightgowns over pajama pants, so I’m already working on converting the playtime tunic into flannel nightgowns. We’ll see how this goes – this is my first time with an Oliver+S pattern, and only my 3rd time with any kind of pattern at all. I love the idea of a Christmas pj tradition.